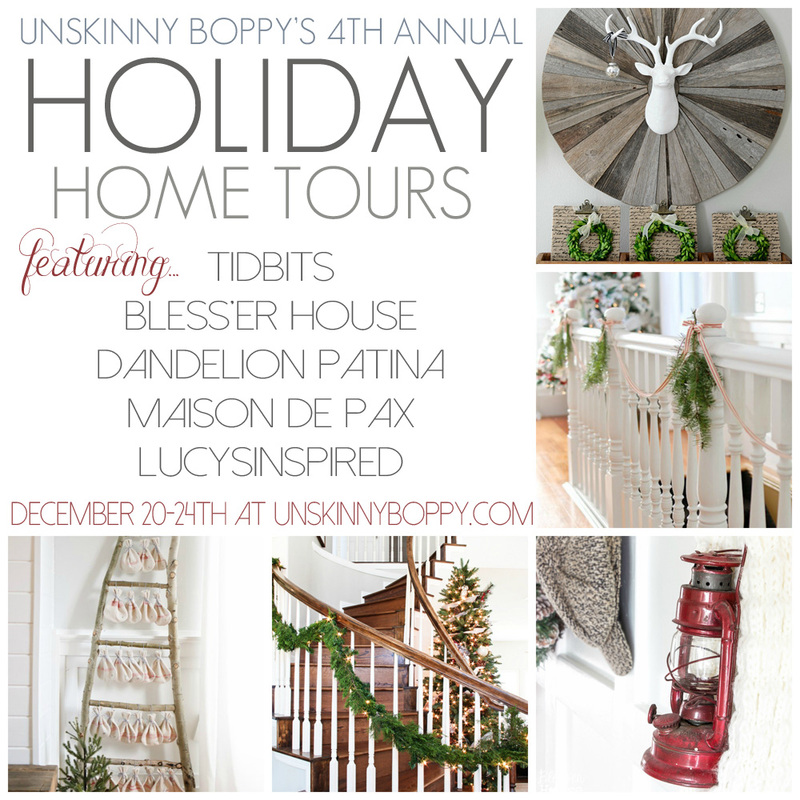 We’re in the home stretch of the 2015 Holiday Home Tours, and today I’m introducing you guys to Rachel from Maison de Pax. I cannot wait for you to see her stunning home! Merry Christmas! My name is Rachel, and I blog at Maison de Pax. I am so honored to be here today as part of Beth’s Christmas Home Tours. I had the privilege of meeting Beth two summers ago while I was still a starry-eyed (and completely clueless!) new blogger; she was just as incredibly kind, fun, and genuine in real life as she is on the blog, and I am so thankful for her and the opportunity to be here today. We recently moved to what my 3 and 5 year old boys call “the country” (aka just over an acre about 20 minutes from downtown). It may not be exactly rural, but we’ve enjoyed the extra exposure to nature, nonetheless, and it definitely inspired me towards simple, natural decorations this year. Since our last house was a 1940 colonial (you can see the full before and after tour here if you want) smack in the middle of the city, this 1990’s home has been an adjustment, but I’m so enjoying the challenge. Here is what the home looked like the day we closed if you’d like to see. Our entryway may be the most dramatic part of our home. And topped it with these angel wings I made from thrifted sheet music. These are definitely my favorite creation this year – a beautiful reminder of the first Christmas. Our entry also houses a sweet sign (tutorial here) and our boot box which I built to resemble antique firewood boxes. You can get the full tutorial and building plans here. As you can see, to the left of our entry is our dining room. Though we eat most meals at our kitchen table, we use this room for homeschool, crafts, and games, so it gets plenty of use. I did have fun decorating the china cabinet (which, thankfully, is safe from my 18 month old daughter). And just last week Mr. Pax hung this new chandelier for me, and I couldn’t be more pleased with how it complements the space, especially my giant diy vintage map and my great grandmother’s dining set. The other wall holds my other great grandmother’s buffet topped with some more modern decorations, including this Christmas sign I made. Through the dining room is our kitchen, which is way too hard working for many decorations, but a few wreaths and some mason jar luminaries give it a festive feel. Heading to the right of the front door, you’ll find our living room. The more open floor plan has meant my office area is a little more exposed than I’m used to, but I just love all the beautiful light. Our fireplace makeover has helped make the whole space more cohesive. On the other side of the fireplace is our family room, with more twinkling lights and simple cedar wreaths. I used my favorite stocking hanger trick to hang the ones I made from thrifted sweaters last year. Since we’ve only been here since the end of the summer, much of the home is waiting for makeovers. 😉 But I do have one more space to show you. I love to bring a little Christmas cheer into the master bedroom. Simple touches (and a few more twinkling fairy lights) did the trick. You can find many more details and links to sources and projects in my complete Christmas home tours: part 1 and part 2. Thank you so much for “visiting” and thank you, Beth, for having me. May you and yours have a beautiful holiday season! How beautiful it is. Its host and hostess must be very meticulous and artistic. This house will bring a lot of memorable experience to anyone there.